A man accused of kidnapping and assaulting a woman while serving probation for beating his now ex-wife has been placed on the state police's Most Wanted fugitives list. Kevin J. Hamel, 49, is wanted for kidnapping, assault and battery with a dangerous weapon, domestic assault and battery, and vandalism in a March 30 attack in Townsend that left the victim with multiple injuries, Massachusetts State Police said. Townsend Police received a 911 call in March from a woman who said she was being assaulted by Hamel and trying to run from him, police said. "Officers subsequently determined that Hamel had held the woman against her will and violently assaulted her, causing numerous injuries," police said. Police sought an arrest warrant against Hamel but have not been able to find him. He has been on the run for more than four months and is actively avoiding officers, police said. Hamel is white, 6 feet tall and weighs about 225 pounds. He has brown and gray hair and blue eyes. He has ties to Townsend and the surrounding communities of Fitchburg, Ayer and Acton as well as New Hampshire. Hamel has an extensive criminal history and has been convicted of stalking, kidnapping and unlawful possession of a gun and ammunition. Eight restraining orders have taken out against him by several different victims and he has been convicted of violating some of them, police said. Hamel was convicted in 2011 of multiple charges including assault and kidnapping his wife and sentenced to five years in state prison followed by 2 1/2 years in jail and 15 years of probation, according to the Fitchburg Sentinel & Enterprise. Anyone who sees Hamel, or who has information on his whereabouts, is asked to immediately call 911 or the State Police Violent Fugitive Apprehension Section at 1-800-527-8873. 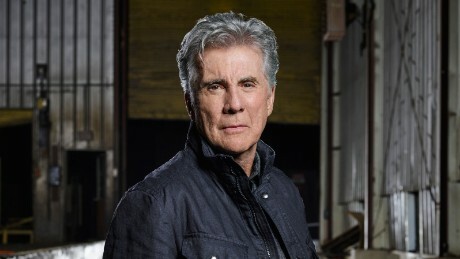 Moving our thread on Hamel to the "Fugitives on TV" section since he is on the list of fugitives scheduled to be aired on Season 1 of Investigation Discovery's "In Pursuit with John Walsh." Looks like In Pursuit wasn't even needed as Kevin Hamel was arrested this morning in Miami! Assuming that Kevin was going to be a 15 Seconds of Shame case, hopefully unlike The Hunt, the producers can find another replacement 15 SOS fugitive for his episode. It wouldn't be a bad idea for them to have reserve cases for instances like these. The good news here is In Pursuit with 12 episodes is supposed to have at least 4 fugitives an episode which means at least 48 fugitives this season, and even more if you count the parental abduction fugitives. So it is a lot less damaging when a fugitive gets captured as opposed to The Hunt which had only 8 episodes a season of 1-2 fugitives an episode, meaning only sixteen fugitives max to begin with. (Granted Hamel probably would have been just a 15 seconds of shamer, it might sting a little more had he been a full segment, although we dont know for sure, but we saw from AMW 8 seconds is sometimes all you need to catch a guy). And of course the best news is he was captured in general.